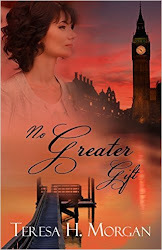 I am thrilled to announce that my newest book, No Greater Gift, will be published by Mountain Brook Ink on May 1, 2016. History professor Grace Ryan returns to her hometown expecting to help her grandmother turn her journals and memories of WWII into memoirs. She arrives to find her grandmother being loaded into an ambulance. When she begs Grace to find the truth about a decades-old crime, whispers the word treason, then slips away forever, Grace is left to separate fact from fiction. 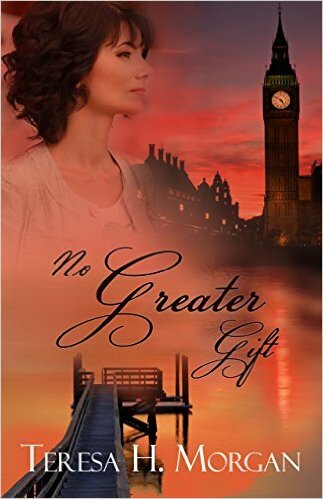 Then, an unwelcome inheritance strikes at her already fragile family bond. Though God’s voice seems silent, He sends someone to stand in the gap for her. Erik Petersson, unjustly accused of infidelity, suffered through an unwanted divorce and the loss of his children’s love to his former wife’s bitterness. A physicist on sabbatical, he agrees to help Grace dig through her late grandfather’s scientific papers. As he struggles to win back his children’s love, he and Grace are catapulted into a quagmire of truth and lies that could tear her family apart. The preorder price is an amazing $3.49. If you're searching for it on Amazon and not using the link, make sure to remember to use my middle initial H or you might find it. I met you at the Renewal this past weekend. You gave me a copy of this novel. I was a little preoccupied then, but started it Monday. I am SO impressed so far with your writing! I mean really good stuff! I can’t wait to review this for you!